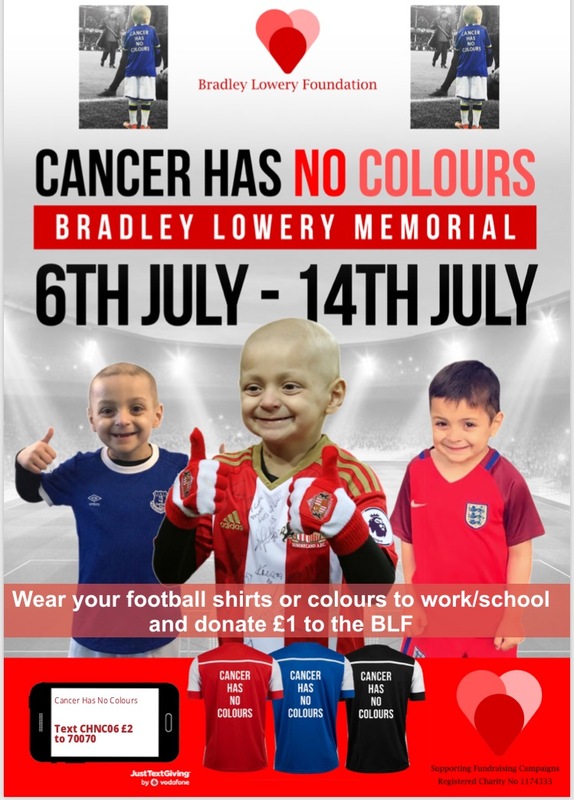 We have a big cancer has no colours campaign coming to remember Bradley and celebrate his 1 year memorial. Last year at Brads funeral I was amazed at how many people came together to wear there football colours for Bradley. So i am asking you this year to remember my boy but to also help the foundation to grow and continue to help more children, will you go to work / school in your colours between the 6th and 14th of July 2018 and donate £1 to us. To take part in this campaign download your fundraising pack below.